The film showcases Modi's remarkable courage, wisdom, patience, dedication to his people, his acumen as a political strategist, his leadership that inspired a thousand social changes in Gujarat and later India. It traces his childhood in the 1950s to his meteoric rise in the corridors of politics, as a four-time serving Chief Minister. 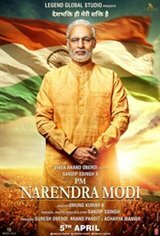 The film culminates in Modi's overcoming all the obstacles to create and lead one of the most fascinating and successful election campaigns in world politics in 2013-14.